The Seward Silver Salmon Derby® is one of the oldest and largest fishing derbies in the State. 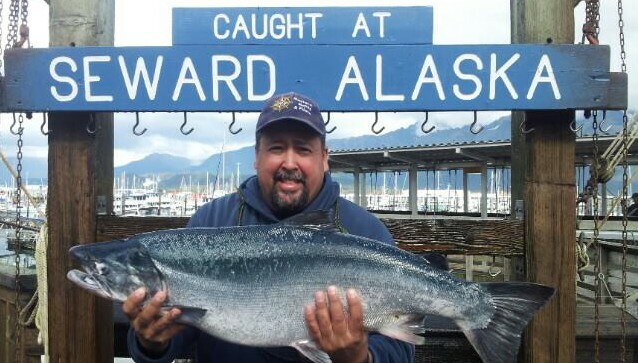 Seward’s Derby is equally popular with locals, other Alaska residents, and visiting anglers from around the nation and world. Anglers vie for the largest Coho (Silver) Salmon and try to catch tagged fish worth prizes. Anglers turn their fish in daily, which are sold to raise funds for fish enhancement efforts. Complete information on participating in the 2015 Seward Silver Salmon Derby Logo Contest. View, print or download here.